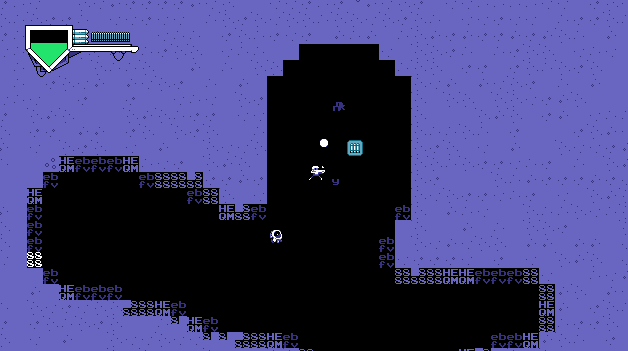 A Roguelike shooter where you descend into an alien nest and tear up everything you see. The purple walls will sap your health so carve your way through with your blaster. Find your way towards the warp pads to descend further, but bullets are limited so be careful! Blue, red, and green power ups refill AMMO, GRENADES, and HEALTH respectively. 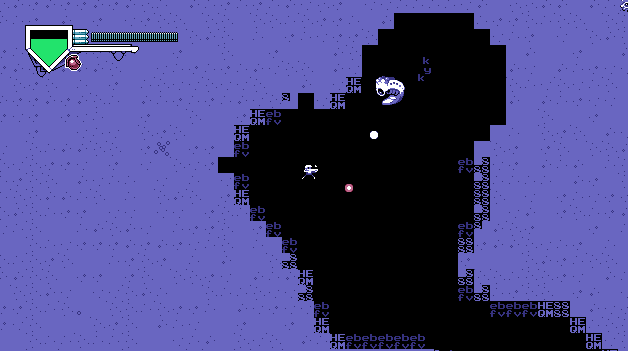 Sleeping aliens are scattered around; If you break the nest around a creature it will attack! Will sometimes hang on loading the level. HTML5 is just weird sometimes. There's a Windows download if it doesn't play in browser. Full screen button works on... some systems. The depth level might not reset. No idea how that even happens. It's one variable. Hey! I played a lil' bit of this on my channel! Music is so good! I loved this game a lot. My only critique would be that the difficulty curve fell off fast and I wanted it to get harder, but great game! Music is great. What tools did you use? Game is super fun. Thanks for playing! I used GMS2, Aseprite, and FL Studio. is this made in gamemaker studio?